Would you like to install laminate floors in your home? It’s good to know what these floors will bring into your home before you make your final decision. Laminate floors encompass everything from tile and stone products to light wood appearances. Laminate is attractive and bright and hence one of the best floorings in the market. Some of the laminate floors are smooth while the others are smooth. In case you have a busy household with a high level of pets and foot traffic, it is good to go for the textured laminate. The smooth planks may be more appealing visually in the store even though this will expose all pieces of dog hair, dirt, and dust that lands on it. You can clean it up in a matter of seconds and hence this is not a make or break decision. Colors also have so much to do with the feel of your laminate floors and what will show up. Darker laminate floors tend to show more dust and dirt. It may seem wrong, but because the dirt or dust does not ground in the floors like is the case with the carpet, the particles will sit on the top of the laminate floors and hence you will spot them with a lot of ease. Dust usually have a light color and shows up well on dark laminate floors. You can think of a dark vehicle that needs washing. Dark laminate floors will give your home a warmer and statelier appearance. On the other hand, light laminate colors tend to be more contemporary and will considerably lighten up your room. The laminate pattern flooring that you choose should suit your design plans and needs. The wide plank design can be perfect for one place and stone laminate floors for the other. Feel free to try out something new. Get a pattern that you love as it may be part of your lifestyle for the next two decades. The prices of laminate floors are so diverse but depend on the quality that you choose. There is nothing like poor quality laminate floors because all these surfaces are graded for durability. However, some of the flooring solutions tend to be more genuine than others. 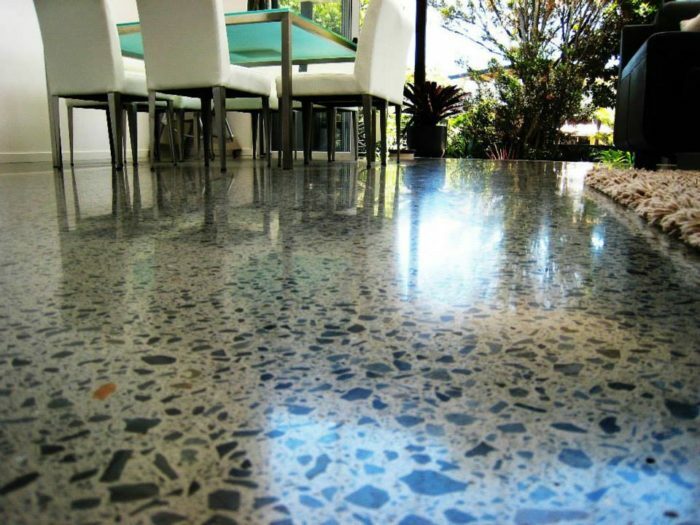 You will discover that the feel and texture that these floors have under your feet and also different. Cheaper laminate floors are thinner and have less padding beneath or fewer layers. However, they are still highly attractive and can last you for over a decade. The more expensive options are almost similar to wood floors and have a better feel beneath your feet. The last thing to consider is the durability of the laminate floors. The market has a broad range of AC grades and ratings for laminate floors. The heavy grades like AC5 and AC4 are rough under the bear feet and more appropriate for commercial use. The first two grades are ideal for residential and home foot traffic. Therefore, let no one cheat you that higher grade laminate floors are the best for your home. However, don’t choose the absolute lowest grades as they may not withstand the traffic on your surface. South Florida Contracting Services will help you to make the right decisions for laminate floors.